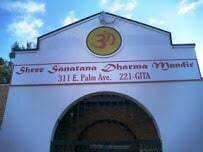 Sanatan Mandir is located in historic Tampa Heights. This site has rich and unique history. More than a hundred years ago, this historic site was established as a Jewish Temple. 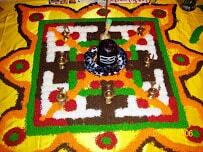 In 1989, it become Hindu Temple. The two buildings on this site have been purchased by Rattan Family and donated to be used as Hindu temple. The bigger main temple building was later demolished and the smaller of the two buildings is currently used as Temple. The founding family has since them purchased and donated land immediately to the East, West and South side of the temple. Sanatan Mandir is very unique in its location. To our best knowledge, this is the only temple in the entire USA to be within approximately one mile of the city center and the mayor’s office. As if destiny had meant our temple to be at the center of the city’s activities. Now proposed Ist bullet train station in US is approximately less than 1/2 mile from our temple. 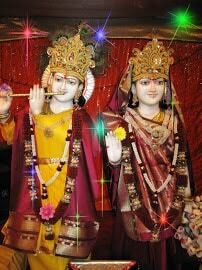 Further Sanatan Mandir is less than a mile from main bus station and 5 mile away from the Tampa International airport. Over 25 years of temple’s existence, a lot has changed in Tampa but one fundamental has remained the same. This sacred place of worship has remained a place of worship for over a century. That was a vision of the founders of Hindu Samaj Inc. and we are committed to keep it same way for all generations to come.